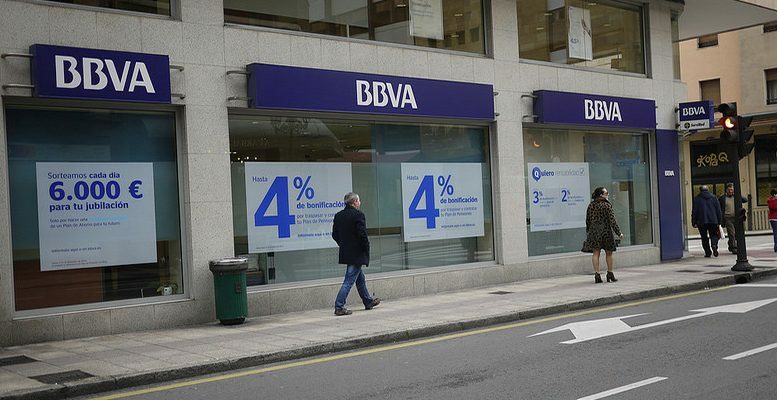 Why has Spain's banking sector rally been cut short? The Spanish banking sector’s stock market rally has been suddenly cut short. The listed banks’ index had risen over 45% since the minimum levels of June 2016 until the first week of January. But since then, it is seeing a correction. Analyst consensus points to the fact that many of the lenders are trading above their target price. That said, investors are also worried about the impact of the floor clauses ruling on their profit and loss account, as well as the problems of the Italian banks, as yet unresolved. The banks started off 2017 in spectacular fashion, leading the gains on the Ibex 35 index, due to the change in trend in interest rates and improved inflation expectations. These initial advances have either been wiped out or are about to be: Popular, BBVA and Sabadell are already in losses in the year to date. BBVA is peforming worst because of its big exposure to two economies which are suffering for different reasons: Mexico and Turkey. The currencies of both countries have taken a nosedive in the last few sessions, and this has a big effect on the income statement of the bank led by Francisco Gonzalez. Spanish banks are not expensive, but they are not cheap either. In fact, international research firms cannot agree on the stock market outlook for the lenders in 2017. Last week, Deutsche Bank said it saw hardly any potential in the sector, the complete opposite to Goldman Sachs. The US investment bank has analysed the seven banks listed on the Ibex and in all cases has revised its valuations upwards (the upwards potential in the case of Santander, BBVA and Sabadell is over 20%; and up to 40% in Popular). There are two issues which have fuelled increased doubts over the sector. The first is the whole rigmarole of the floor clauses and its impact on the banks’ profit and loss account. Everything seems to point to the fact that the banks affected (BBVA and Caixabank are the worst hit) will have to charge the losses not provisioned for in their income statement and not against reserves, as was their initial intention. The other matter of concern is the Italian banking system. The country’s government announced it would inject 20 billion euros of public money, but it is still not known how it plans to comply with the new European regulation on banking resolutions. Furthermore, rating agency DBRS decided last Friday to downgrade Italy’s sovereign debt rating, to ‘BBB (High)’. As a result, the Italian lenders’ financing conditions will worsen by five percentage points.